Each reader is priced individually; see individual readers profiles for full details, prices start from $1.00/min. A warm welcome to our psychic community marketplace and award winning website. 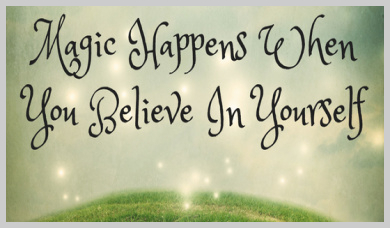 You can call, email or IM with one of over 200 listed readers who using gifts including psychic ability, mediumship, clairvoyance or tools including tarot cards, angel cards or runes can give insight and advice on your relationships, career or love and romance. Let them help answer your questions and empower your life! 1 Choose the reader you would like to connect to. 2 Click the 'Email Me' button. 3 Enter your contact details and question. 4 Choose if you want a concise or comprehensive reading. 5 Choose how you wish to pay for your email reading. We actively encourage our customers to leave feedback about their favourite readers, this can be done in two ways: ‘Ratings’ and ‘Reviews’ If you want to leave a rating, just click on the stars on a profile card, enter your phone number and score out of 5 and submit, it’s that easy! To leave a review just write a comment in the box provided. 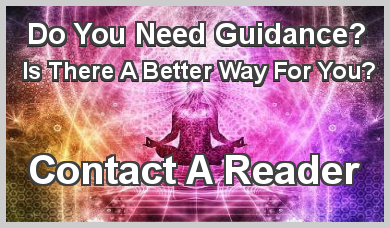 Many people are now having email readings but many people have asked “Can an email psychic reading be as accurate as a face to face reading?” Email psychic readings allow you added bonus of being able to refer back to your reading again and again. 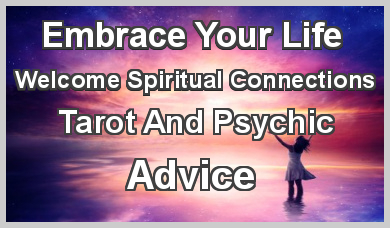 If you’ve never had an email reading before and are thinking of having one but you are not sure let us reassure you that whilst many readers use tarot and angel cards, runes etc you don’t need to handle the cards to have a reading. The other main benefit of having an email reading is that it means you can connect with quality psychics who are based all around the world, not just close to your house! WHAT KIND OF THINGS CAN I DISCOVER FROM AN EMAIL READING? There are several things you can discover from having an email reading, the first is clarity. If a situation has been clouding over you for some time it helps to sometimes get a fresh perspective and a neutral view over your situation. The second thing you can get is options, with any troubling situation people need to know what options they have to move on and get a positive outcome. Also, our readers can give you reassurance that you are on the right path to get the outcome you desire and offer advice if you need it. HOW DO I CHOOSE AN EMAIL READER? Here at Ask The Answer we have email readers who use a variety of tools and use a variety of skills in their readings. If you are looking for a reader who uses a specific tool or gift in their readings then you can find them by looking in the profiles pages of each reader. Some of the tools used by our readers include tarot cards, angel cards, runes and astrology. Some of the gifts used by our readers include psychic ability, clairvoyance and mediumship, whilst some readers are able to help you along your spiritual journey as they are spirit coaches. As well as these skills and gifts many of our readers have many special skills they use, to find out more read the biography of the individual readers on their profile page. HOW LONG WILL MY EMAIL READING BE? We have two types of email reading available, a concise reading which will be 500 words or more and a comprehensive reading which will be 1000 words or more. WHICH TYPE OF EMAIL READING SHOULD I CHOOSE? If you are wanting an answer to one question the usually a concise email will be sufficient to answer your question, if you are looking into a complex situation or have multiple questions you want answering then the comprehensive email will be more suited to you. HOW LONG DOES IT TAKE TO RECIEVE A REPLY? We aim to answer all email readings within 24 hours. WHAT IF I NEED A REPLY FASTER THAN 24 HOURS? If you are looking for a quick reply, please choose the ‘Email Reader’ card from the choice of available psychics, this is send to the next available psychic to answer as quickly is as possible and shortens the time of reply. WHAT KIND OF QUESTIONS CAN I ASK IN AN EMAIL READING? Is he going to come back to me? Am I going to get the new job I want? Is the house move that I want going to happen? Are my family issues going to be resolved? When do you see someone new entering my life? One of the most common subjects brought up during readings are matters of the heart. A love reading is a powerful route to find the answers you seek. Email readings allow our readers to impart their wisdom to guide you on the right path to take. One of the most important things to remember is not to ask yes or no questions. Examples include “Will I find my true love?”, “Will my current relationship work?”, “Will he ask me to marry me soon?” or “Is he cheating on me?” To achieve more insight with a phone love reading, it is best to ask open questions such as “What can I do to manifest love into my life?” or maybe “What would be the best way to reconnect with a past love?” or “How I can ensure this is the right relationship for me?” Open questions on your relationship issues can provide better direction on changing an outcome based on the choices you make. Try an instant message love reading now and see how it can guide you regarding past, present and future relationships. Our customer care team is available from Monday to Friday from 9am to 5pm (GMT) and can be contacted here. Alternatively your question may be answered by reading our FAQ section. Keep up to date with all of the latest goings on at Ask The Answer, connect today!